Code the micro:bit to measure reaction time by programming it to create a visual or audio signal. It will measure the reaction time between the signal and the student’s reaction time in pressing a button and the LED screen will display the reaction time in seconds. One of the particularly attractive features of the micro:bit is the visuals it incorporates through its LED screen, which you can use to model changes of state from solid to liquid to gas. The micro:bit would be coded to turn on, for example 10 of the 25 LEDs, packed densely at the bottom of the display to model a solid. Upon shaking (modelling the addition of energy) the LEDS would start to move to model a liquid. Further shaking would change the display so that only 1 or 2 LEDs were on to model the distribution of molecules in a gas. The LEDs that are ‘on’ would change to make it look as it the gas particles were moving freely. This very visual way of teaching would help students understand the behaviour of liquids, solids and gas and teach learning points like the fact that the density of solids and liquids is quite similar. Using a simple kit of nails and cables you can convert the micro:bit into a soil moisture sensor which will display the level of moisture on the LED screen. 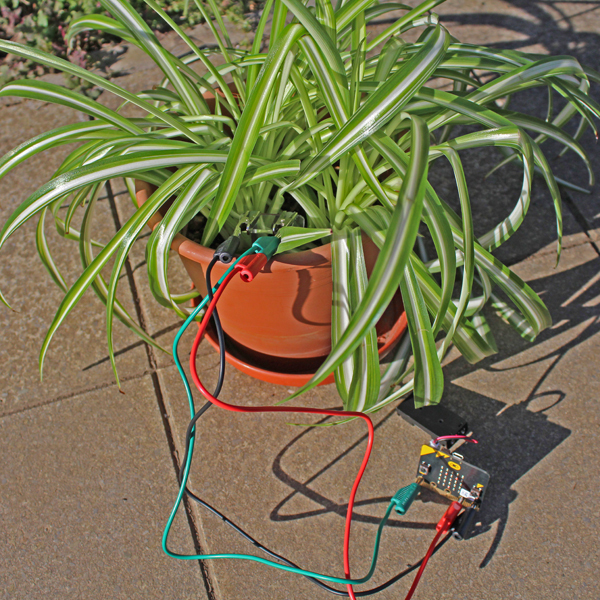 You could also set an alarm when the water level is too low and programme a pump to water the plant when it needs it. The micro:bit has an analog input which can measure changes in voltage. 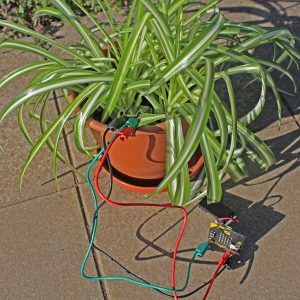 The sensor works by measuring a voltage related to the conductance of the soil and using it to estimate the amount of moisture in the soil. The processor used in the micro:bit has a PWM (pulse-width modulation) system which enables you to generate a signal at any frequency. The feature can be used to teach students about sound, including changes in frequency, audible frequencies and sound interference. We hope some of these ideas will inspire you to make the most of all the micro:bits capabilities. Many are explained in more detail with innovative ways to present them on the National STEM Learning Centre’s STEM e-library. What’s more we will be providing coding packages and start-up kits to get you started with teaching these ideas, so keep an eye out!